The high performance processor STM8 of the company ST Microelectronics is an 8-bit low power microcontroller with a large memory and high bit density. Well-trained like the heart of a professional athlete, it provides an increase of performance of up to 30 % with a 24 MHz clocking. An invisible nano coating protects the boards reliably against any kind of dirt and the penetration of humidity. 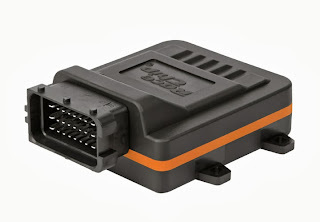 We deliver your RaceChip® Pro2 with a basic setting optimized for your vehicle type. You can adjust your RaceChip® Pro2 individually to your requirements. Easily, fast and without tools. The increases in performance (up to 30 %) and torque (up to 20 %) as well as the fuel saving (up to 1 l/100 km) are generally achievable maximum values. They can vary – depending on the vehicle. You get information on the determined maximum values for your vehicle after selecting your vehicle. Depending on your personal road behaviour you can save fuel by installing the RaceChip®Pro2. Up to 1 litre per 100 kilometres. And with an increase of performance at the same time. If fuel saving is your main requirement, please inform us when placing the order. We will consider this during the basic setting. For highest safety and performance we have equipped the RaceChip® Pro2 with professional FCI-plugs. These plugs are standard in automotive business. They are plug connections of highest quality. The heat resistant casing of the RaceChip® Pro2 is made of glass fibre reinforced plastic. It perfectly protects all electronic parts even under adverse conditions. So you’re always on the safe side. Due to its compact design, the RaceChip® Pro2 can be installed easily, fast and without special tools wherever you want.